News & Publications | McEllistrem, Fargione, Landy, Rorvig & Eken, P.A. All four of our insurance articles have been updated for 2017 – for your reading pleasure. Paul McEllistrem and Andy Rorvig received a $5,581,065.19 verdict in Hennepin County from a temporary employment agency in Minneapolis that sent an unknown, unscreened, and unsupervised day laborer to the home of an eldery woman to do yard work. That laborer attempted to kill the homeowner and stole her vehicle. The employment agency denied any responsibility. The Minnesota State Bar Association’s 5th Edition of the Motor Vehicle Deskbook has been updated. Great work once again by the three editors Mike, Paul, and Andy. Contact Minnesota CLE for your copy. You can come home after all. It is with great excitement and pride we report tha on the 34th anniversary of the firm, Mike Fargione is returning full time. After a seven year return to his roots – as Director of Litigation at Legal Aid – Mike has come home and will be serving as our new Director of Litigation at McEllistrem Fargione P.A. Even when Mike had returned to Legal Aid these past few years he had maintained a role with the firm as Primary Editor of the firm’s Minnesota CLE – Motor Vehicle Accident Deskbook. He has also continued to serve as our mentor, our biggest supporter, and most of all, our good friend. Mike ha continuously maintained an office here, has consulted on complex issues and cases, and was known to drop in for the occasional happy hour or lunch meeting. Mike has tried so many difficult jury trials that he will no longer permit us to keep track. He has presented more than 20 cases to the Minnesota Supreme Court. He has always innovated and pushed us to be better and work harder for our clients in ways we never dreamed. He has led us to do great things and to do them with great integrity and class. When people talk about Mike the same refrains are used – great legal mind, wonderful guy, terrific sense of humor. We certainly agree with that description and are so honored and humbled by his return on this – our 34th anniversary! March Madness isn’t limited to the basketball court. Andy proved that Cinderella stories also take place in the courtroom. He recently succeeded at trial against a multi-billion dollar insurance company. Congratulations to Andy and to our very happy client. 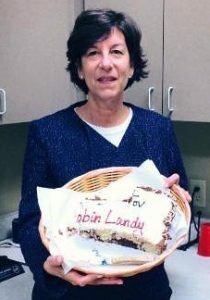 A big congratulations are due to Robin Landy. Robin was recently named the Jewish Family and Children’s Service of Minneapolis Spirit Award Winner. Translation = Volunteer of the Year for 2013. 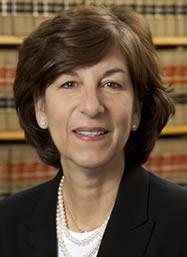 Robin currently sits on the Executive Committee and is also the Immediate Past President of JFCS. Rorvig finally got around to updating the Collateral Source Manual fo 2014. A free PDF version can be found under our ‘Publications’ section. 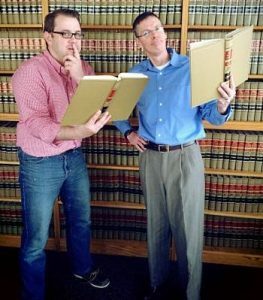 Spring semester means that both Paul McEllistrem and Andy Rorvig are back to teaching no-fault insurance law at two of the local law schools in town. Andy returns to St. Thomas while Paul is back at William Mitchell for his 16th year! In early December the Norwegian team of Andy Rorvig and Tanner Moe teamed up and tried an Uninsured Motorist claim in Detroit Lakes, Minnesota. Their client had fractured his knee in a head-on collision and his insurance company refused to take responsibility. With some skill, preparation and luck, Andy and Tanner were able to receive a very favorable verdict from the jury. Congratulations to our client and to Andy and Tanner! Beginning December 1, 2013, McEllistrem Fargione, P.A. changed its office location to: 700 International Plaza, 7900 International Drive, Minneapolis, MN 55425. Our phone number, fax number and emails have all remained the same. 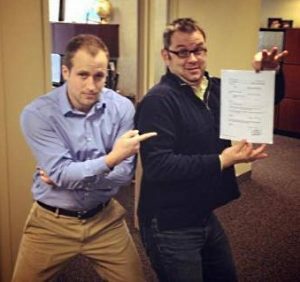 This week, Paul and Tanner tried a jury trial in Hennepin County for our client who was hurt in a sideswipe car accident back in 2010. The jury came back with a verdict for our client that was nearly three times the insurance company’s last offer. Our client is very happy and so are we. Congratulations to Paul, Tanner, and of course, our client! We just finished successfully litigating a recent car injury claim for Jeremy Wolfsteller. Jeremy is a decorated Iraq War Veteran who was injured in the line of duty. He is very happy about his claim and so are we. Congratulations to our client and friend, Jeremy Wolfsteller. Every year since 2001 both Paul McEllistrem and Robin Landy have been selected as some of Minnesota’s finest lawyers by their peers and by Super Lawyers Magazine. This year is no different as they maintain the honor of being considered “Super Lawyers.” For the fourth time since 2007, Paul was also recognized as a Top 100 Super Lawyer. As you can imagine, this honor is only given to the top 100 lawyers in the entire state. 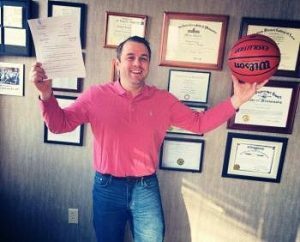 Andy Rorvig was also named a “rising star” by Super Lawyers Magazine – a distinction reserved for less than 2.5% of all lawyers in the state and one he’s earned for each of the past three years. Congratulations to our Super Lawyers for keeping the tradition of excellence going at McEllistrem Fargione! We’re Moving December 1, 2013! Our telephone and fax number will not change. We are looking forward to seeing you at our new digs! Firm News – Hauer Fargione is now McEllistrem Fargione P.A. Since April 1, 1980, we have been leaders in personal injury, representing injured people in landmark cases all over Minnesota and the upper Midwest. Today, we are proud to announce that the tradition will continue. McEllistrem Fargione, P.A. will continue to represent injured people the only way we know how – ethically and honestly – for another 3-decades and beyond. The lawyers of McEllistrem Fargione stand ready to work hard for your referrals, as we always have. We look forward to running into you along the way. McEllistrem, Fargione, Landy, Rorvig & Eken, P.A. The updated 2012 Uninsured Motorist Benefits manual is now under our Publications section. The 2012 No-Fault Benefits article is in our Publications section. 2012 Collateral Source manual is now available! The updated Collateral Source manual is now under our Publications section. Paul McEllistrem and Aaron Eken recently tried an automobile collision case in Hennepin County. Damages were contested and the insurer only offered $10,000 prior to trial. The jury found in favor of our client, awarding $63,062.15 in damages. Congratulations to Paul, Aaron, and of course, our client! 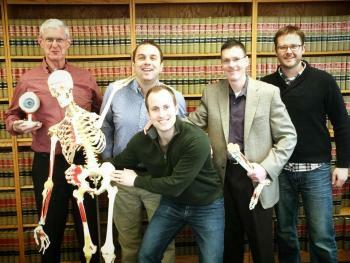 Robin Landy recently tried a hotly contested injury case in Lincoln County. The insurer refused to make a significant offer so Robin tried the case to verdict. The jury found in our client’s favor awarding over $900,000 in damages. Congratulations to Robin and our client.